Skill for the 21st Century!" Infopreneurship University is a project of Universal StewardHeirShip, Inc. Helping Solve Personal, Community and Global "Ultimate Destiny Success Puzzles"
So You Want to Be An Infopreneur? Do You know what an infopreneur is? An infopreneur is someone who is in business to gather or disseminate electronic information. To put it in simple words, she/he is someone who sells information online (mainly through the Internet). 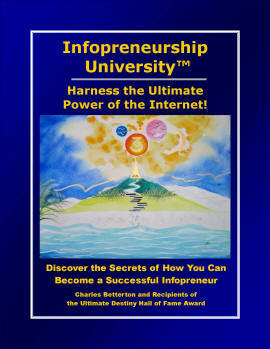 Infopreneurs explore the uncharted "blue oceans" of internet business to define their niche markets. In the wider sense, an infopreneur is an entrepreneur whose main media is the World Wide Web and main source of profits are information products or services. Online retailing has become a booming business. The rapid growth of Internet and the vast business opportunities that comes with it, has made many successful infopreneurs. These infopreneurs are able to tap on the Internet to reach out to the mass markets. So How Can You Become An Infopreneur? There are basically 3 ways to start you online business to be an Infopreneur. For more details Click Here for the complete article. The Ultimate Destinyland team has invested most of the past 4 years (and over $150,000) acquiring training, strategic alliances, hardware and software for publishing, electronic publishing, marketing and Internet marketing. Based on our research, training and experience, we believe Infopreneurship (an expansion and evolution of entrepreneurship and micro-enterprise development) is one of the most significant Ultimate Successful Living Skills for the 21st Century. Infopreneurship University 101, a forthcoming book and Ebook from Ultimate Destiny Network, presents a vision and Strategic Implementation Matrix™ for helping you discover how to "harness the ultimate power of the Internet". After years of research and development and study, we have determined that Infopreneurship is one of the most essential "successful living skill for the 21st Century." The contents of the publication will include information on ways to generate income from producing intellectual properties such as books, Ebooks, audio video content, home study programs, online courses, webinars, teleseminars, etc. It will feature resources from some of the initial 50 recipients of the Ultimate Destiny Hall of Fame Award such as Robert Allen, Brian Tracy, Bob Proctor, Mark Victor Hansen, etc. We are publishing our first 14 books electronically and in print in the next few days as part of our Ultimate Destiny Success System. The titles cover the major facets of fulfilling your destiny including: Realizing Your Ultimate Potential; Fulfilling Your Life Purpose and Mission; Enjoying Financial Freedom and Prosperity; Harnessing Your Creative Power, Achieving Ultimate Success in Business or Career; Enjoying Loving Relationships; Raising Your Consciousness; Enjoying Ultimate Health and Well-Being; Attaining Spiritual Enlightenment; Enjoying Peace and Balance; Making a Difference and Leaving a Legacy; and Fostering Personal and Planetary Sustainability. Our shared Ultimate Vision is a world of more fully actualized individuals living in a higher and more enlightened consciousness of StewardHeirShip™ as our shared destiny. That encompasses Bucky Fuller’s vision of “Betterment for 100% of humankind”, Arthur Morgan's works including The Great Community, Donald Curtis’ vision in his book, Helping Heaven Happen and an adaptation of Abraham Maslow's work to our vision of fostering the cocreation of "fully actualizing communities". Our vision also incorporates the principles and practices of Community Economic Development that include Self-Help, Empowerment and Capacity Building. 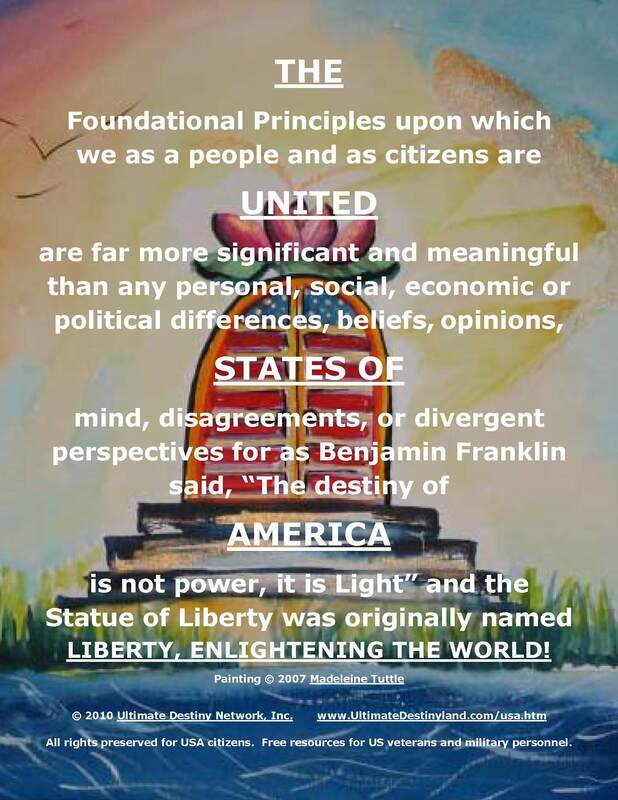 Our Mission is to: facilitate personal, community and global empowerment and enlightenment; foster personal, social and global transformation; and help millions of people A.R.K. (Awaken to Spirit, Realize more of their potential and Know how to discover and cocreate their ultimate destiny (whatever that means to each one) by publishing, producing and distributing programs, products and services that accomplish those desired outcomes. We believe that strategic alliances and Infopreneusrip are the two best possible strategies for accomplishing our mission. Our Co-creative Organizational Strategy. 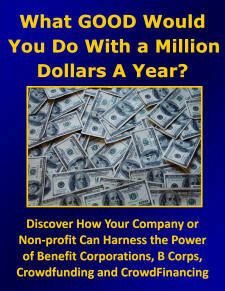 What we are cocreating together is far beyond any company or non-profit organization. It is beyond a university, religion, philosophy, or any particular discipline or field of study. Our programs address mind, body and spirit, etc. They encompass most if not all of the major developmental disciplines such as personal, professional, organizational, community and economic development and spiritual enlightenment. 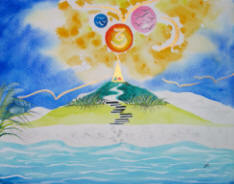 StewardHeirShip (Spirit, Service, Stewardship and Sustainable Living). 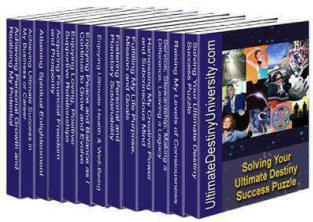 Ultimate Destiny University for Successful Living. 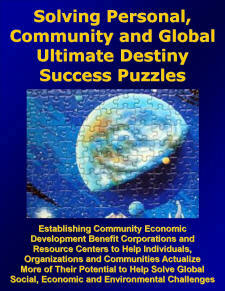 Solving Personal, Community and Global Ultimate Destiny Success Puzzles. Expanding the Circle of Success through Community Resource Centers that provide development training resources and Successful Living Skills for the 21st Century. Bucky Fuller’s vision of “betterment for 100% of humanity”. Abraham Maslow’s description of a fully actualized individual and adaptation of that to envision and describe a fully actualizing organization or community. Arthur Morgan’s vision of The Great Community. The Art and Science of Successful Living (including New Thought Teachings). Self-Help, Empowerment and Capacity Building. Helping the United States of America Fulfill its Ultimate Destiny of Enlightenment. If you would like to discover how you too can harness the ultimate power of the Internet, fulfill more of your potential and generate income as you learn tested-and-proven leading edge techniques from experts such as Robert Allen, who has already generated over a billion dollars through infopreneurship, all you have to do to get started is to review our Invitation to Participate and or complete our Interest Survey. 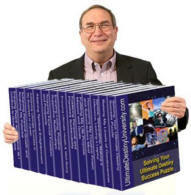 Charles Betterton, MS CED, creator and coauthor of the 14 stand-alone titles in the Ultimate Destiny Success System Library with the Small Group Discussion edition. Each one includes discovery exercises, quizzes, self-assessments, application exercises, featured resources, bonuses, supplemental resources, coaching, etc. Success Puzzle" Are Most Important To You Personally? 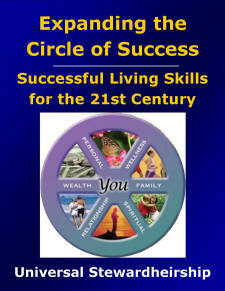 Ultimate Destiny University presents the Ultimate Destiny Success System for Expanding the Circle of Success by providing Successful Living Skills for the 21st Century through a network of local non-profit CAN DO! 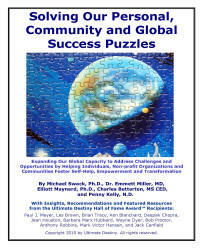 Community Resource Centers that will help generate greater individual and collective capacity for Solving Personal, Community, National and Global Ultimate Success Puzzles! 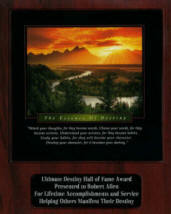 We are inviting our Ultimate Destiny Hall of Fame Award recipients to help donate 100 million dollars worth of development training programs over the next 10 years to and through non-profit organizations to generate greater capacity to address the increasing social, economic and environmental challenges we face, partly by providing expanded access to training programs on infopreneurship. Donations to help provide scholarships and matching grants are welcomed! www.InfopreneurshipUniversity.com Copyright 2011-2016 by Universal Stewardheirship, Inc.